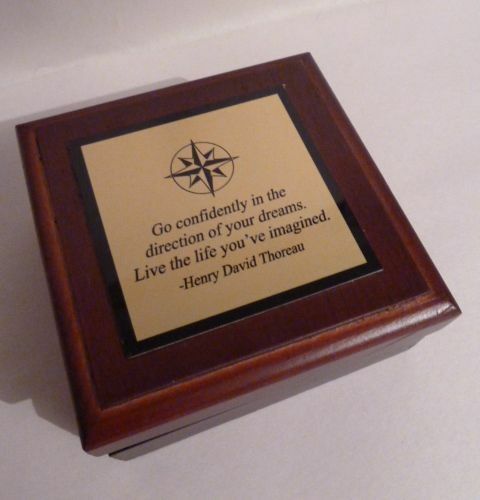 The Compass Company offers this small desk with engraved plate in a nicely finished, hinged wooden box. This compact desk compass will make a terrific gift - for those friends and loved ones you would never want to see get lost! 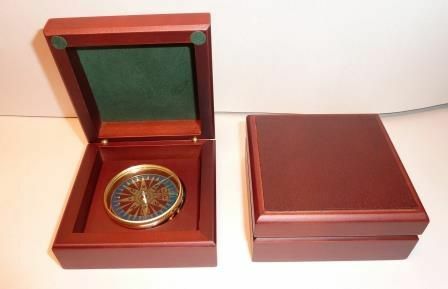 Wooden box with mahogany stain.The compass inside is a card compass with a directional Fleurs De Lis seeking north. 3.5" x 3.5"X1.75".